Building and Facilities News are extremely pleased to announce that Castle Gates & Automation has been named as this issue’s Electronic Security Installations Company of the Month. 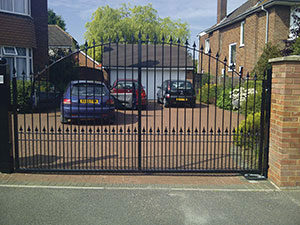 Founded in 2008 by Nick Lipman, the company was set up in order to provide exceptional and efficient security solutions of metal and wooden gates and railings, installation of gate automation systems and entry control systems, barrier and bollard installation, CCTV and garage door mechanisms. The highly qualified installers supply top quality gate motors and intercom systems and can supply everything needed for foolproof security, including hard wired or GSM intercoms to electronic gate openers that are straightforwardly activated via a key fob. Specialising predominately in providing customers with standard and bespoke security solutions, the safekeeping experts have a wide variety of diverse, electronic devices available. From audio, video or keyboard entry control gate automations to their extensive range of CCTV cameras, Castle Gates & Automation aim to provide customers with nothing but the finest, most innovative and robust electronic security systems. With these systems in place, customers are granted peace of mind as they have complete control in determining who is allowed to enter the property. One of Castle Gates & Automation’s most highly sought after range of products is their various under and above ground motors for modern gate automations. 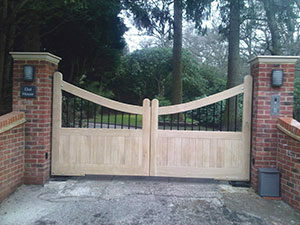 Working closely with their clients, the team at Castle Gates & Automation will advise which device best suits your needs, depending on your gate’s size and material. 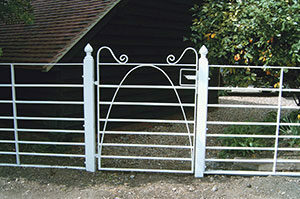 Certified as CE marked, all of their gate automations will be subjected to risk assessment of injury so that appropriate safety measures are built in place. Customers can rest assured knowing that with all of Castle Gates & Automation’s security solutions have passed a declaration of conformity before being commissioned. When it comes to installation, the company works quickly whilst making as little disruption to the client’s home, and neighbours, as possible. 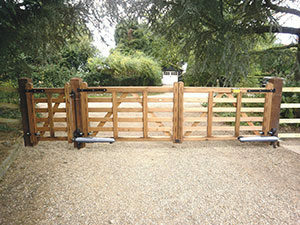 In order to safeguard their clients with the first-rate installation equipment and competitive services that they demand, the team at Castle Gates & Automation work hard in order to guarantee nothing but complete customer satisfaction; and are happy to help customers with any support they may need throughout the operating life of their equipment. With employed electricians boasting a wealth of experience to their names, Castle Gates & Automation are able to provide consumers with solutions specifically fitted to the client’s property in order to meet with their domestic security requirements. From the preliminary selection through to quotation, commissioning and after-purchase service, you are guaranteed a committed, proficient and personal support from the team at Castle Gates & Automation. So if you’re seeking reliable security for your property, whether domestic or commercial, be sure to give Castle Gates & Automation a call, or if you would like to view more about their products and services, then don’t hesitate to check out the website from the details listed below. This entry was posted in Company of the Month, Featured and tagged Electronics, Security. Bookmark the permalink.